Calm down! 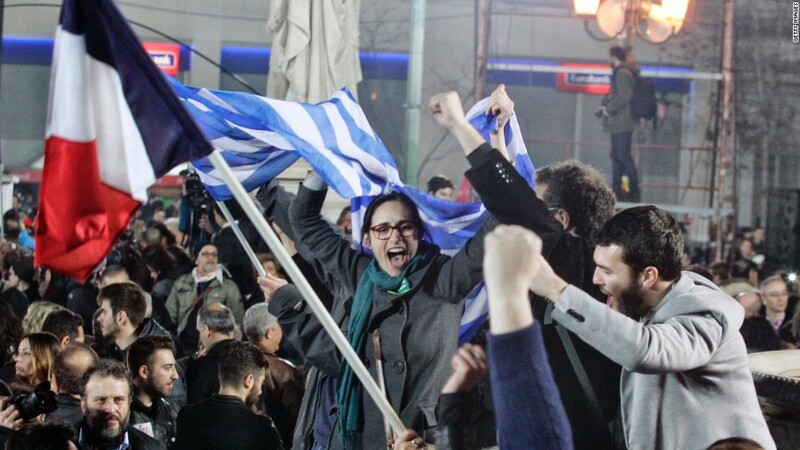 Greece is not looking for a fight with its creditors. At least that's what Prime Minister Alexis Tsipras says, despite winning power on the back of calls to have half the country's enormous debt written off. Tsipras said his government was looking for an agreement on Greek debt that would be beneficial for all parties. "It has never been our intention to act unilaterally on Greek debt," he said in a statement. Yet on Friday, his own finance minister told reporters the Greek government would not cooperate with officials representing its three biggest lenders: other eurozone countries, the European Central Bank and the International Monetary Fund. The standoff with Europe has sent Greek markets tanking as investors freaked out about the possibility of the country exiting the euro. Britain's Chancellor of the Exchequer George Osborne called the issue "the biggest threat to the global economy" after meeting his Greek counterpart Monday. Campaign promises to end austerity don't mean Greece would not meet its obligations to the ECB or IMF, Tsipras said in the statement. 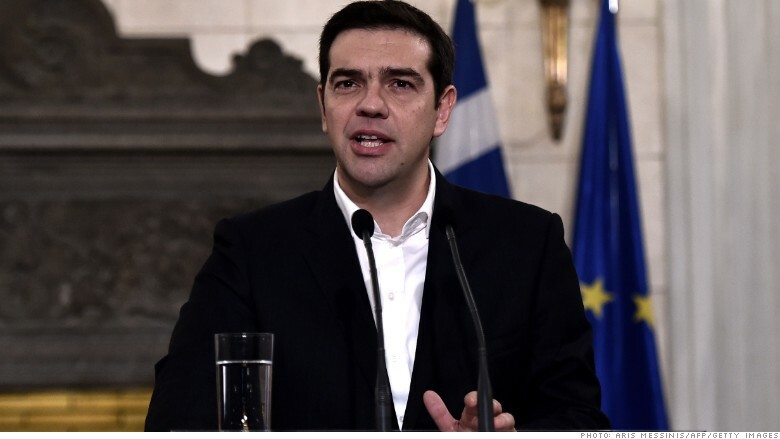 Greek Prime Minister Alexis Tsipras issued a statement saying he is not looking for a conflict. Greece owes 32 billion euros to the IMF, and 20 billion euros to the ECB. Both have already rejected the idea of cutting Greek debt. Tsipras also promised to pursue some reforms agreed by the previous government, including a crackdown on tax evasion. His words appeared to calm markets Monday. Greek stocks were up after a week of steep losses. But Greece's 10-year bond is still yielding more than 11% -- that's up from just above 8% a week ago. Tsipras made no mention of Greece's debt to the rest of the eurozone. Taxpayers from other eurozone countries have poured nearly 200 billion euros into Greek bailouts -- and this is where Tsipras is looking to cut. Most eurozone leaders have already rejected writing off part of Greece's debt. They are prepared to consider extending the bailout program, and possibly giving Greece more time to pay back the money at lower rates of interest, but only if Greece sticks to commitments to make its economy more competitive. Read more: Is Greece Putin's new ally in Europe?